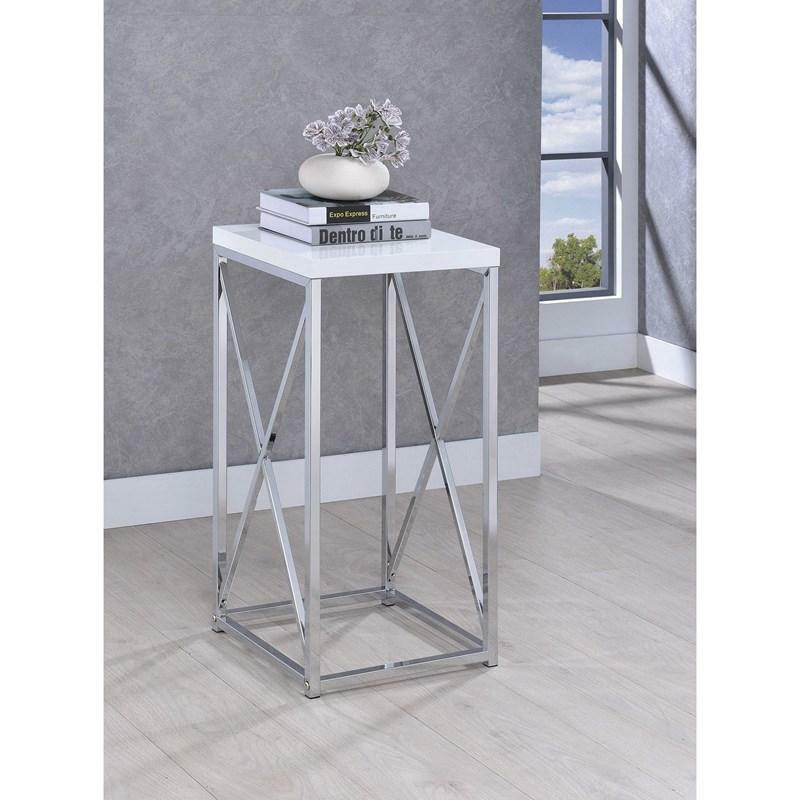 This beautiful Accent Table will look perfect in most decor. 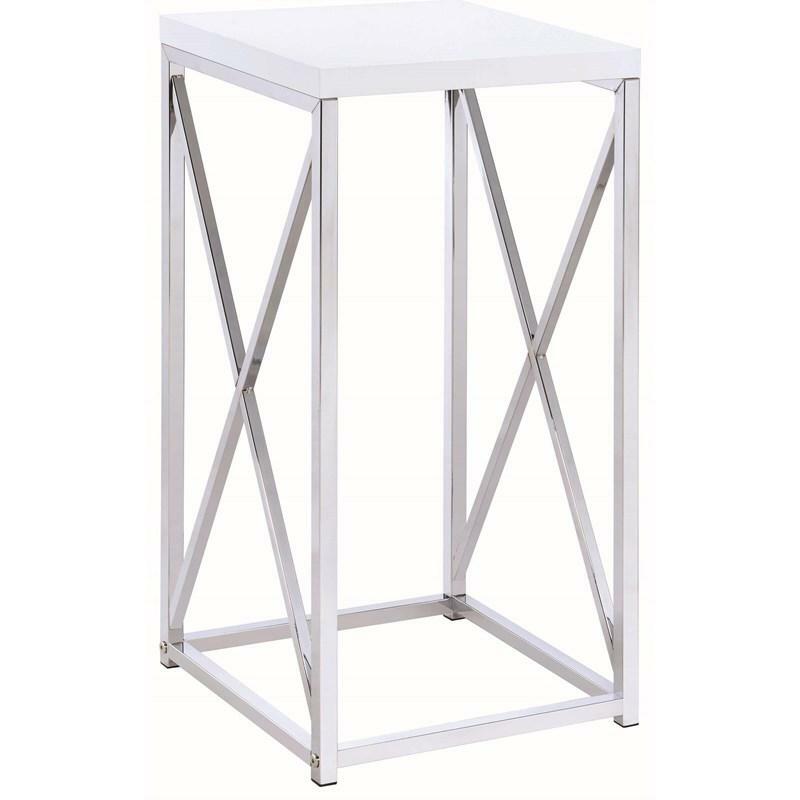 It features a glossy white finish table top and a metal base in chrome finish. 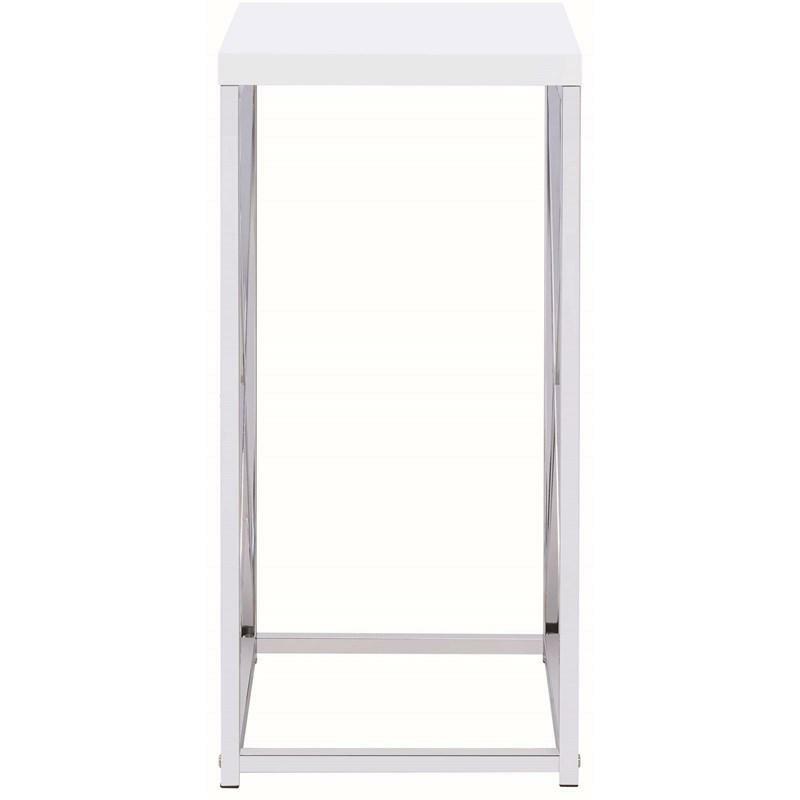 Volume 0.98 cu. ft. / 0.03 cu. 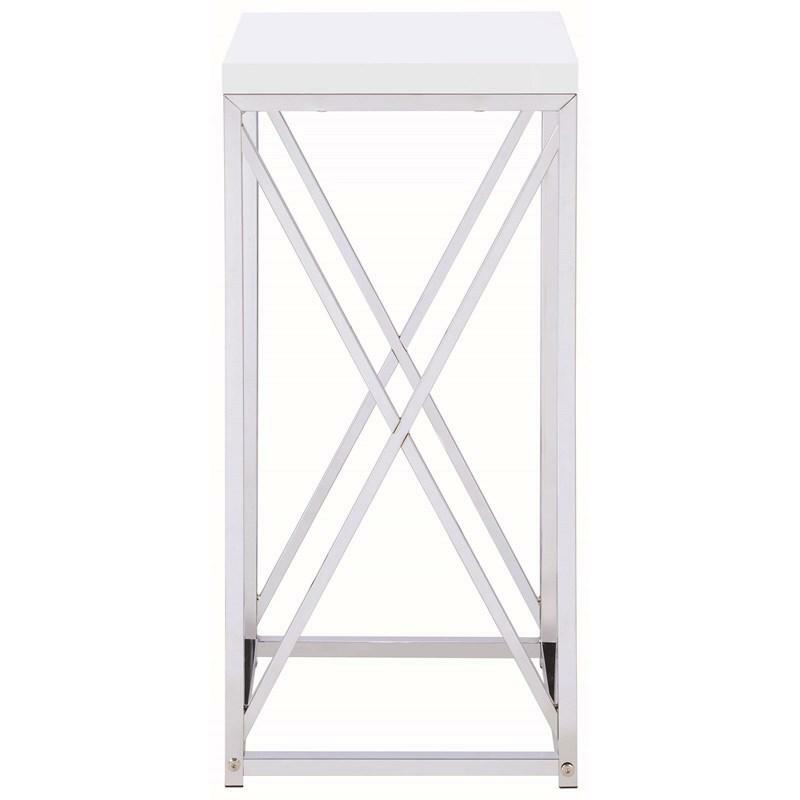 m.
This beautiful Accent Table will look perfect in most decor. 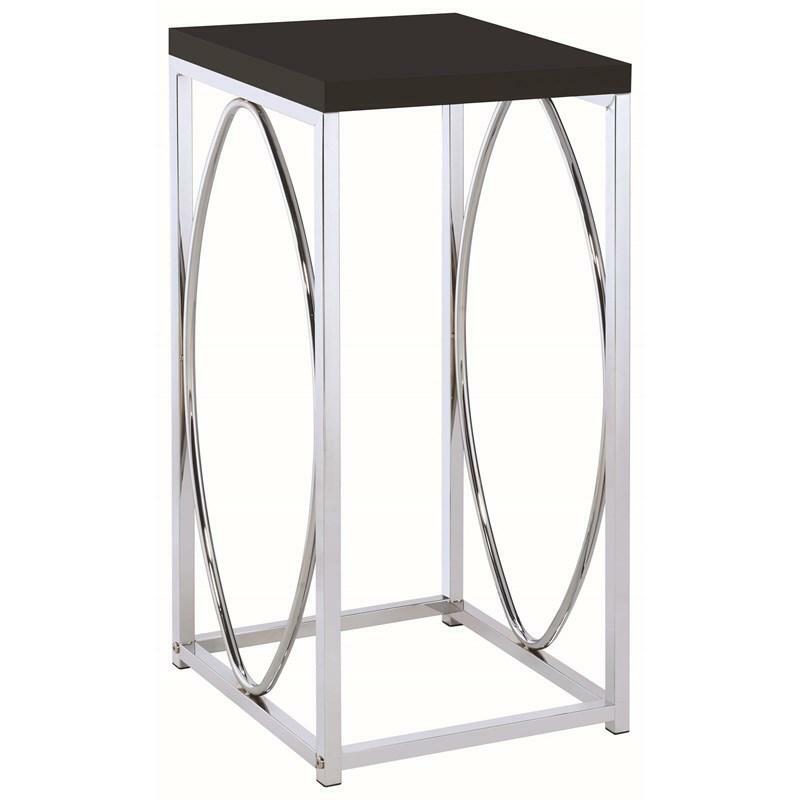 It features a black finish table top and a metal base in chrome finish.